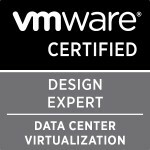 This morning on my second attempt I passed the VCAP6-CMA Design exam. 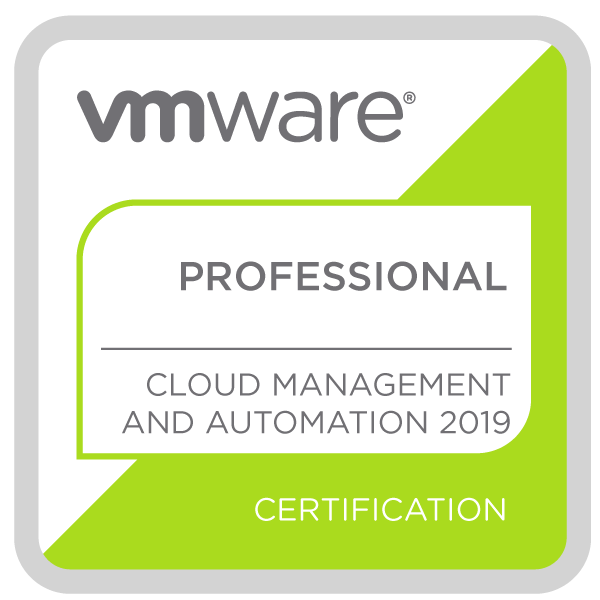 For those that aren’t sure what the exam is it is the VMware Certified Advance Professional –Cloud Management & Automation Design exam. The exam is a 3 hour exam where you have to answer 23 questions consisting of a variable number of drag and drop as well as Visio style question all around vRA 6.2 design. I’m not going to break any NDA’s around the exam so please don’t ask. What I will do however is list here what resources I found helped me the best to pass the exam this time around and will add these resources if they are not there already to my VCAP6-CMA Design study resources page and also give advice keeping to the NDA that I feel would have possibly helped me pass the first time. The VMware Cloud Automation: Design and Deploy Fast Track course is really great and certainly fills in any gaps in your knowledge that you might have. I was fortunate to be able to do it due to having access from my work white labelled as VMware PSO. The course is good but if you have been doing enterprise level vRA designs for a number of years like I have it can be very slow at points!! The the vRealize Automation Reference Architecture from VMware was brilliant when i started learning vRA and it is still true. One word of advice is to not only spend time learning vRA components which are obviously important but also what supporting technologies are required for certain functions and capabilities to be possible (NSX, vRB, Endpoints, vSphere etc etc) . Remember the exam is currently based on vRA 6.2 so all those fancy features you get in vRA 7.x aren’t possible during the exam so you need to know how it was done previous to those features if possible at all. A great resource I used to remind myself how it was done in vRA 6.2 was to read the reference architecture i listed above. This ones a biggie and i used two different resources for it, it is the various roles in vRA and what permissions each gives you. Sam McGeown’s mindmaps were the first I used as well as Grant Orchards mindmaps. Knowing what each role does and what permissions it gives is extremely important and maps directly to VCAP6-CMA objective 4.2. Remember a good design is all about giving the least privileges possible. This one I didn’t expect to have to learn as much about and ties into point number two, I read the NSX Design Guide as design objective 3.5 mentions NSX but the amount of NSX knowledge needed for the exam was certainly much more than I expected so for my second attempt i made sure I was prepared. This is part of the study resources for the exam but the amount of application services weightage amazed me so make sure you have read and fully understand all the capabilities and requirements of vRealize Application Services. Last one that is weighted more than I expected is machine extensibility which ties in objective 8.2. The exam is certainly worded strangely and one bit of advice that i stumbled across during my second exam is that if the text in the question seems to be a repeat of an earlier one and the options to build it don’t match then try click the wide option for the question text and it might bring up the correct text for the question. Good luck if you are planning to take the exam and for me it’s now onto prep for my VCDX6-CMA defence in just over a week. Categories: Certifications, vCAC, VCAP, VCDX, vCloud, Virtualisation, vRA | Tags: 3V0-632, Certifications, CMA, design, VCAP6, VCDX, VMware, vRA, vRA Roles | Permalink. The company I was employed with in 2007/2008 wanted to implement ESXi. We only had two four node clusters with shared storage. That company sent me to the vSphere 3.5 ICM class. My instructor in that class John Krueger was so passionate about the technology that it rubbed off on me. My current director pushes his staff to stay current with advanced certificates. After I passed my DCA & DCD it seemed like a natural progression. I also enjoy the challenge of something like this. I wrote my first outline for my design in April 2015, so about 15 months total. This includes my three defences, I failed the first two. Read the blueprint, find a mentor, find a study group and read the blueprint. This journey can be accomplished alone depending on your knowledge and job roles, but with an ever growing community why risk it? Be prepared to sacrifice a fair amount of your personal time. I wrote the bulk of my design during the summer, and was unable to attend many things. Also, make sure your family is prepared to support you. My kids didn’t really understand why I had to disappear into my office for 2 hours at random points during the day for mocks with my study group. I probably wouldn’t have submitted for the October 2015 defences. I was very unprepared. Also increasing my T-Skills, I was a bit short on storage and that showed very much in my first defence. It’s feels amazing to get this weight off my shoulders after 15 months. I honestly did not realize how much it stressed me out until it was over. My company was extremely supportive of the whole process and was excited for my success. I would say yes, it was worth it. I learned more about the entire infrastructure stack than I ever thought. In addition, I’ve made some good friends via study groups. Categories: VCDX, Virtualisation, VMware | Tags: Certifications, VCDX, VCDX Spotlight, VMware | Permalink.